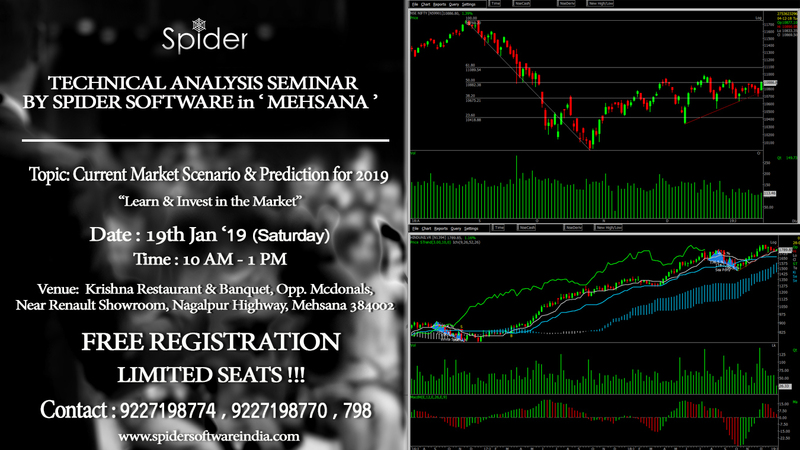 Learn from the Technical Analysis Experts of Spider Software who has a huge experience of more than 20 years in the field of Technical Analysis. Venue: Krishna Restaurant & Banquet, Opp.McDonalds, Near Renault Showroom, Nagalpur highway, Mehsana 384002. Your Presence is awaited . . .